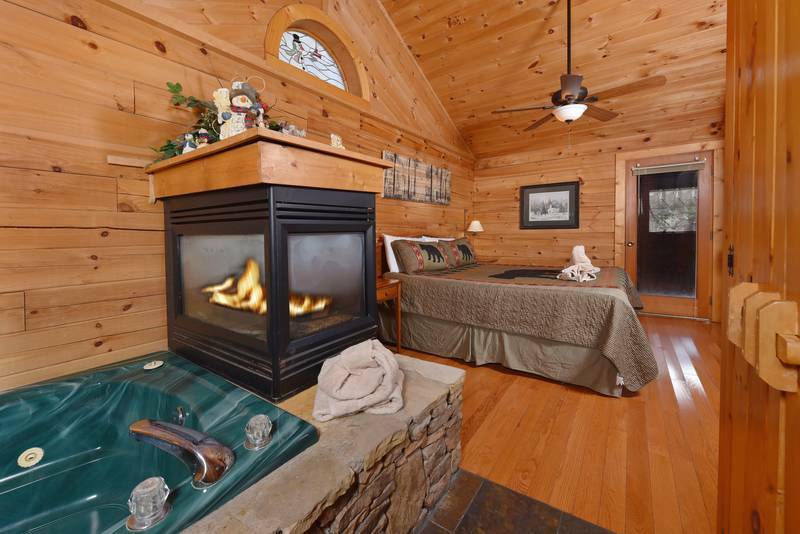 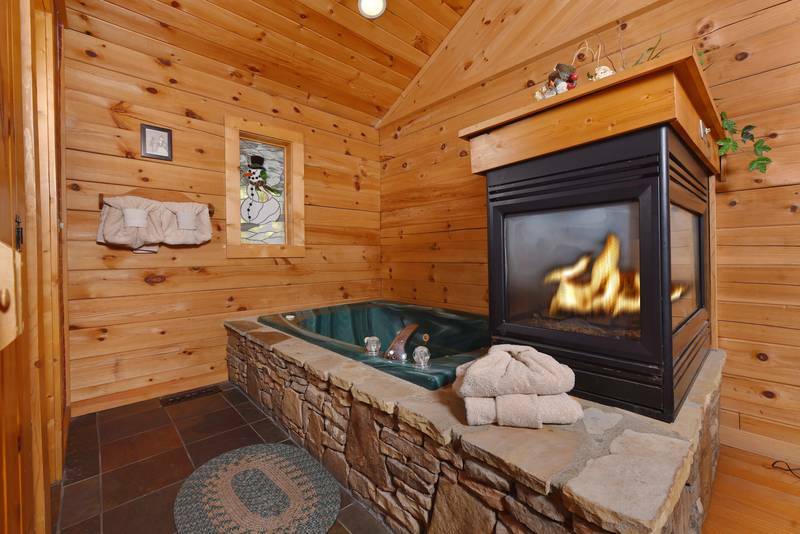 Pigeon Forge One Bedroom Honeymoon Yona Den- Unit 260. 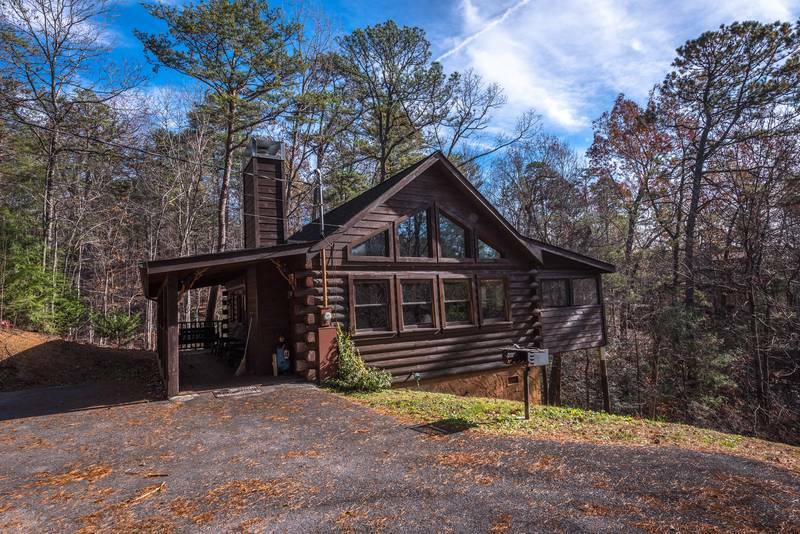 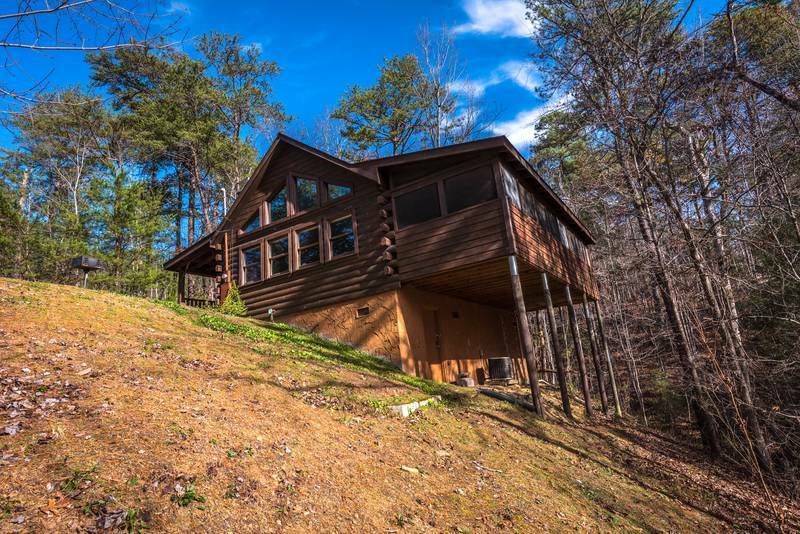 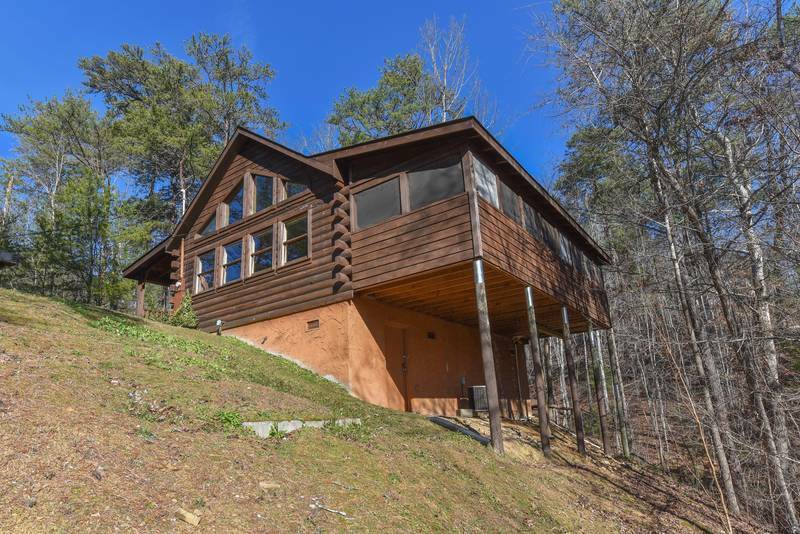 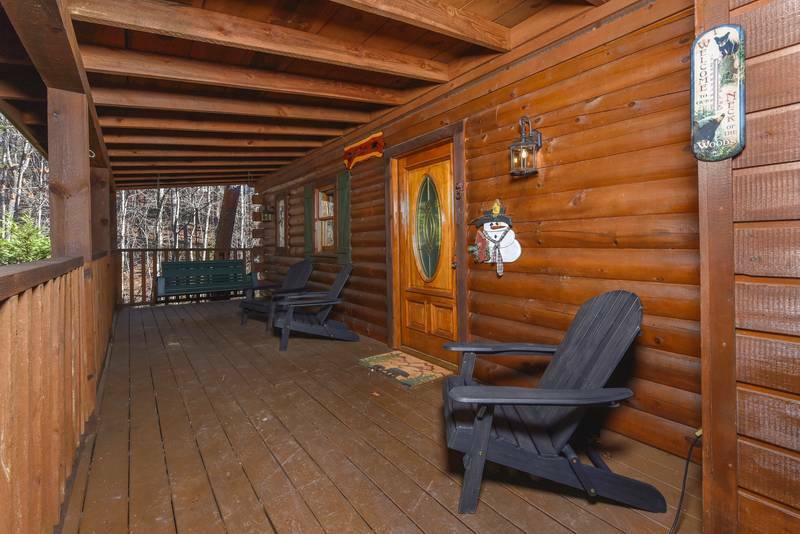 Yona is the Cherokee word for bear and this cabin tucked away in a peaceful, wooded setting is as cozy as a bear's den. 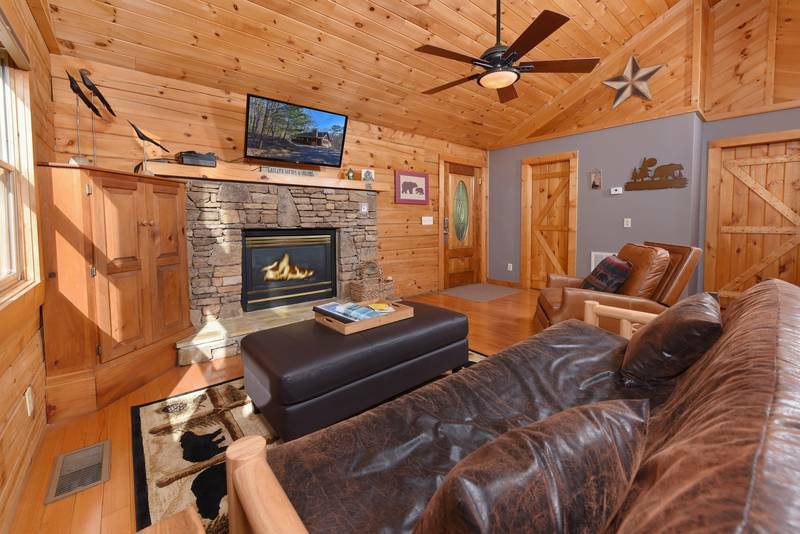 Curl up on the futon couch or ease back in the recliner while you enjoy one of the many movies that are provided on the 43' flat screen television. 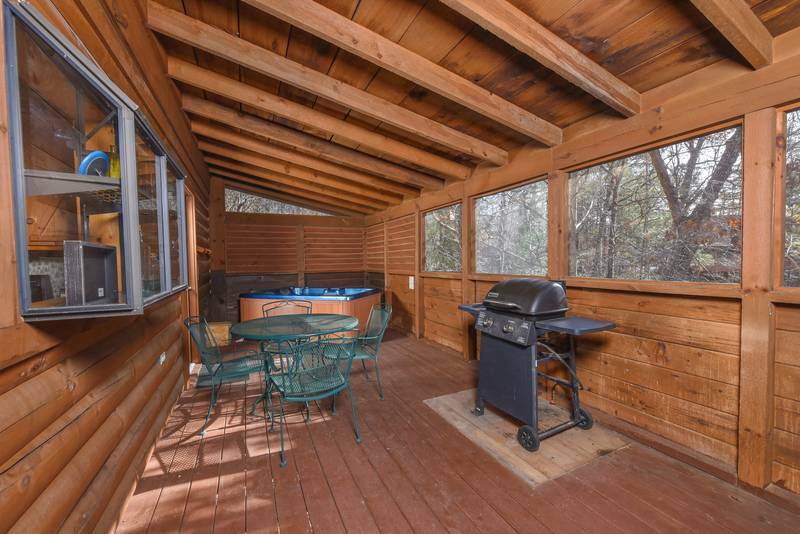 Enjoy the foosball table or the multicade arcade that includes games like Ms. Pacman and Galaga (Plus Many Many More). 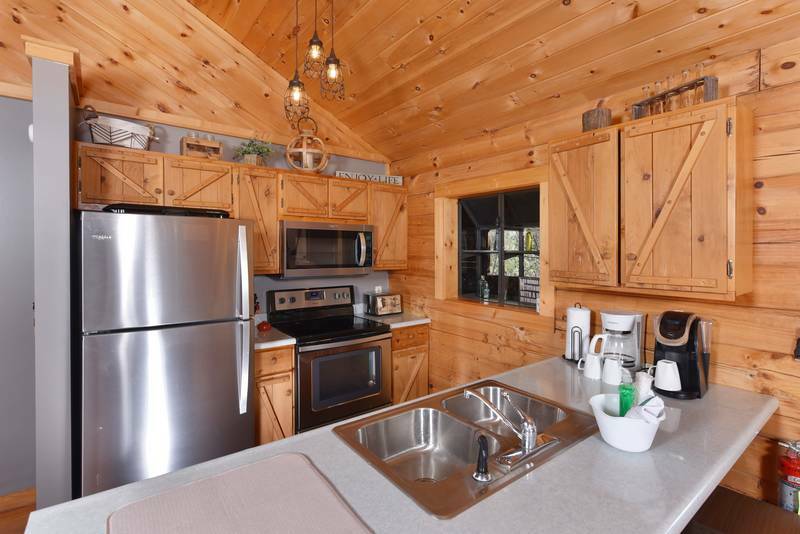 Prepare an intimate meal in the fully equipped kitchen that features stainless steel refrigerator, oven, microwave and dishwasher. 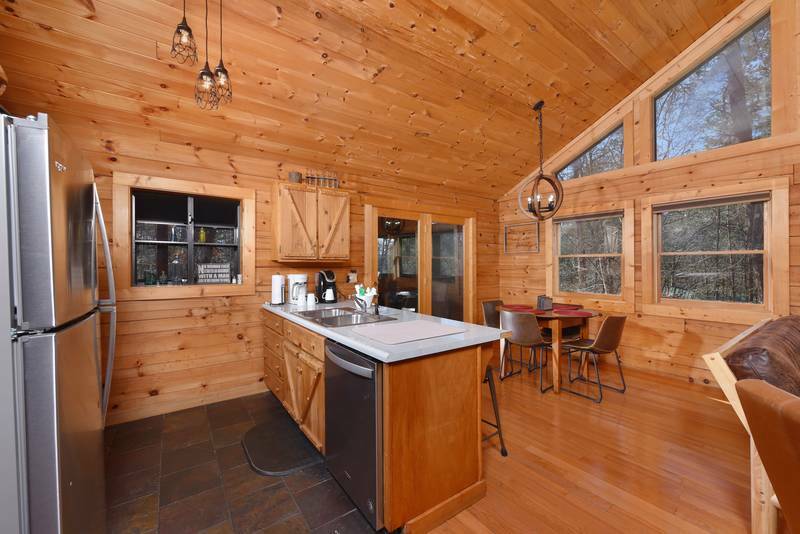 Breakfast will be a breeze with the 4 slice toaster, standard coffee pot and Keurig. 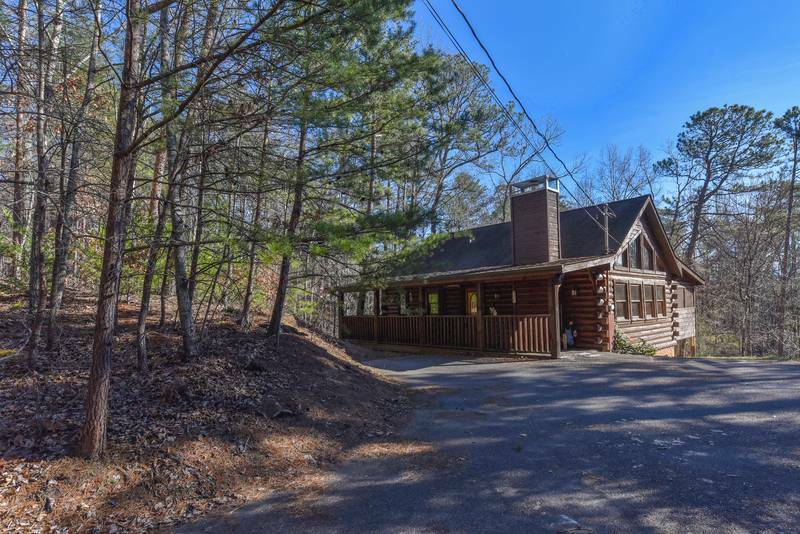 Enjoy your meals at the dining table that seats 4 or if you are in a hurry to see the sights of Pigeon forge, grab a quick bite while sitting on a stool at the 4 person bar. 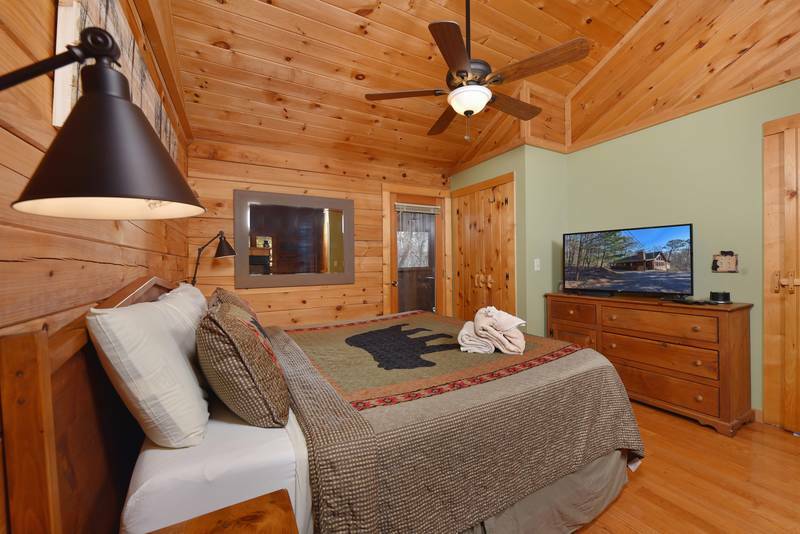 The bedroom in the cabin is truly a master suite. 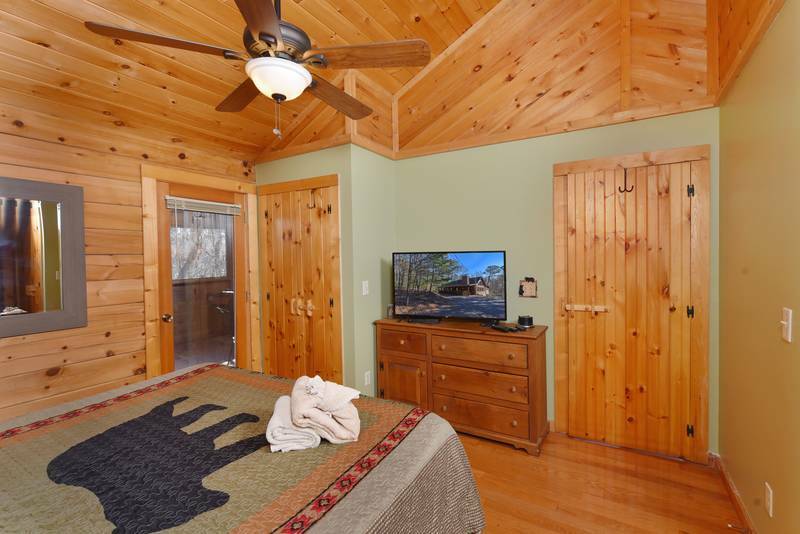 Relax on the king sized bed or soak in the whirlpool tub as you enjoy the warmth of the gas fireplace and the 43' flat screen T.V. 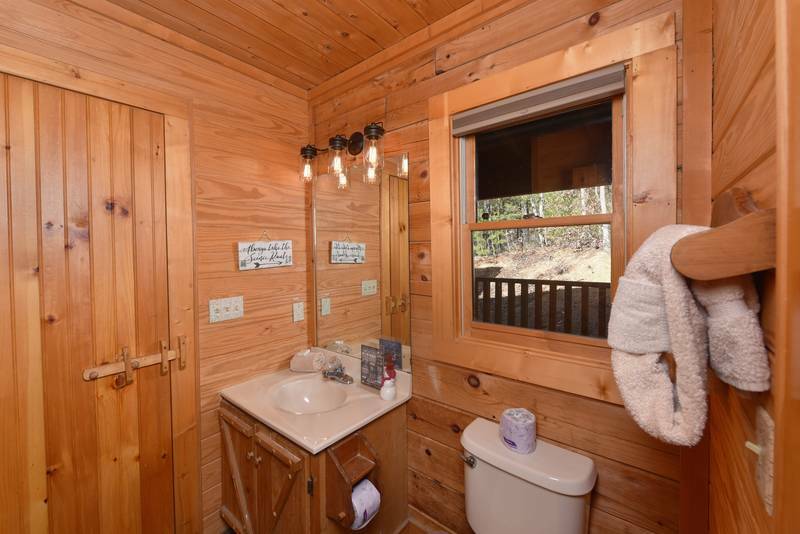 A separate shower is also provided. 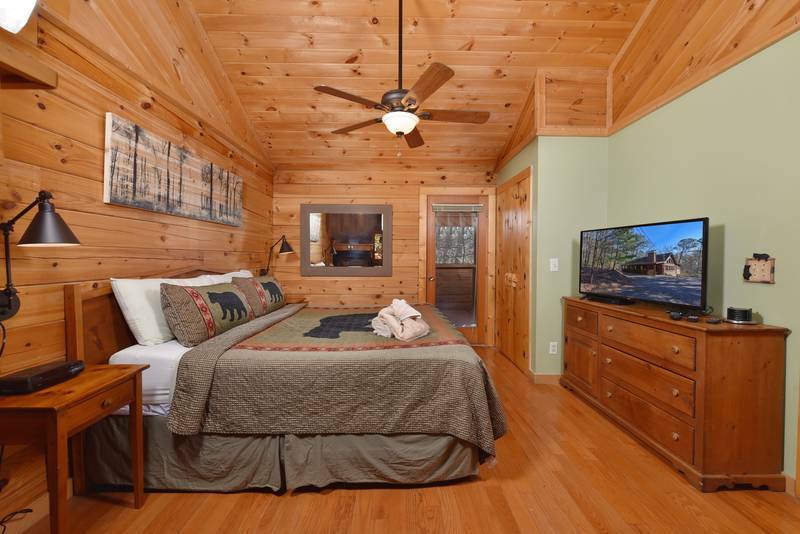 If you want to google some of the attractions you will be visiting in our area, just sign into the free Wi-Fi. 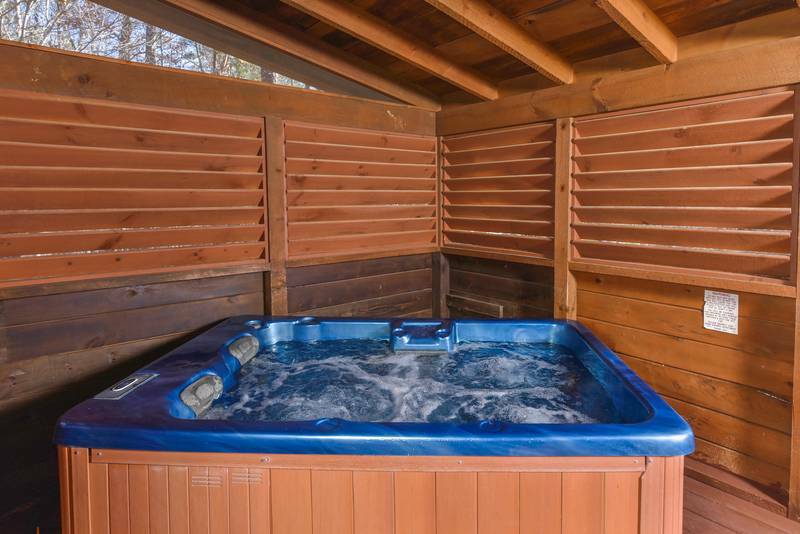 If you have a pet that is 35 pounds or under, they are invited to come along. 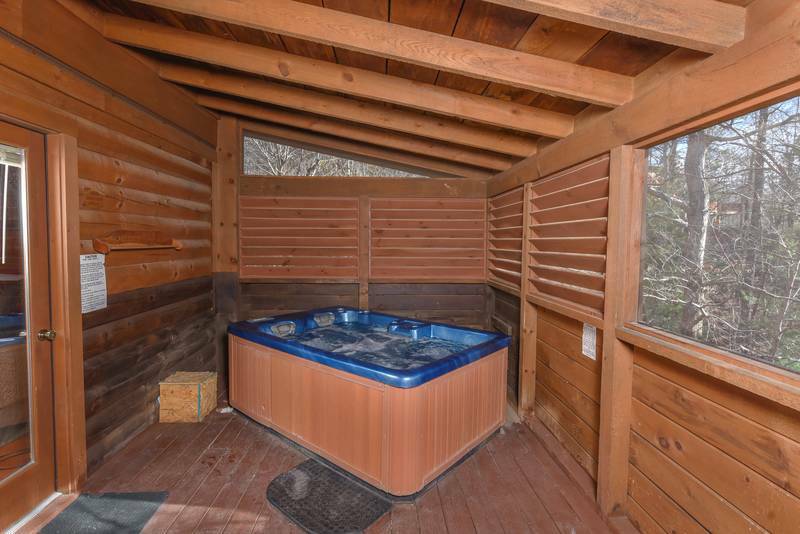 (Pet Fee Applied). 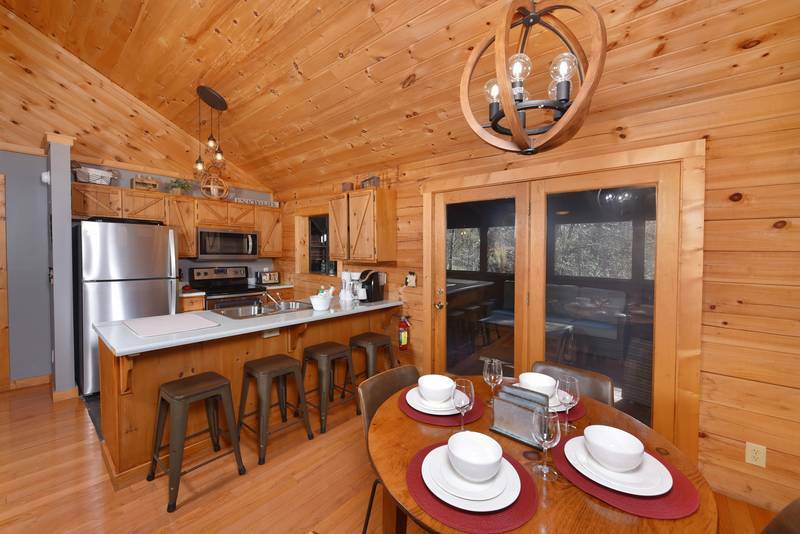 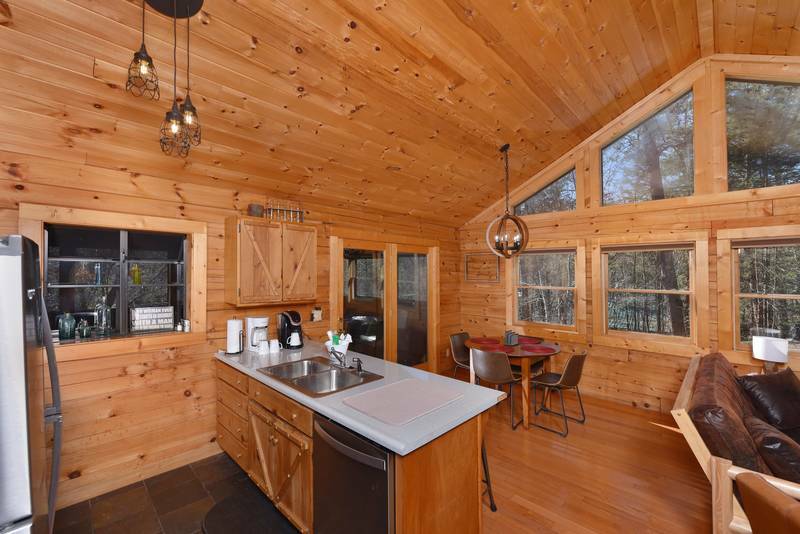 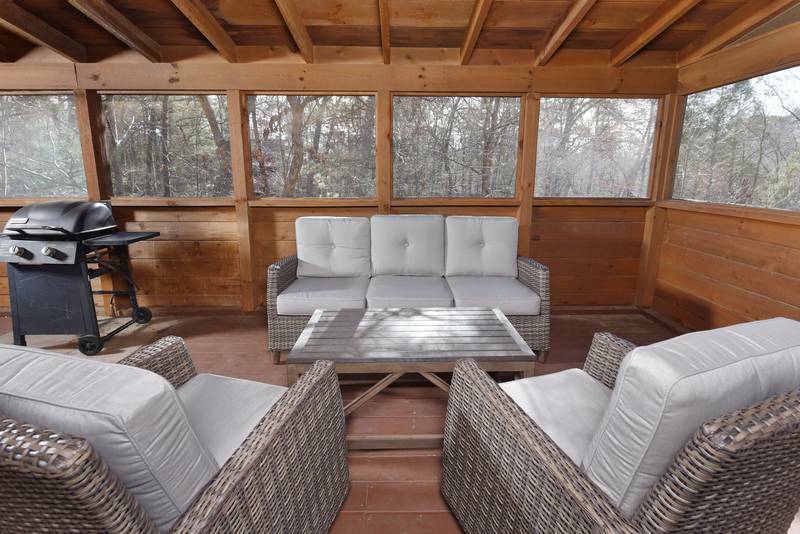 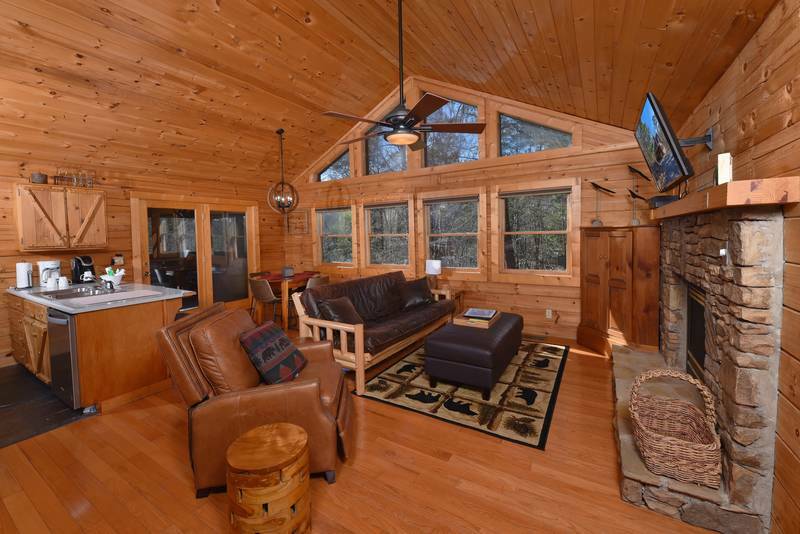 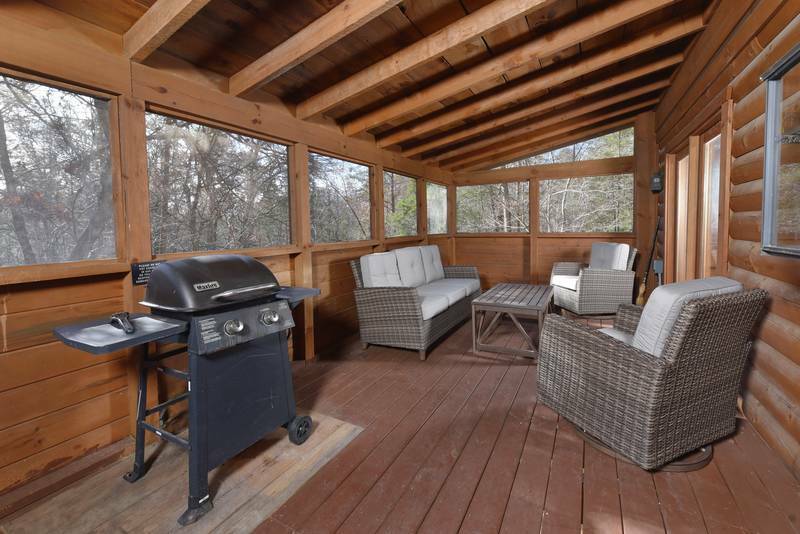 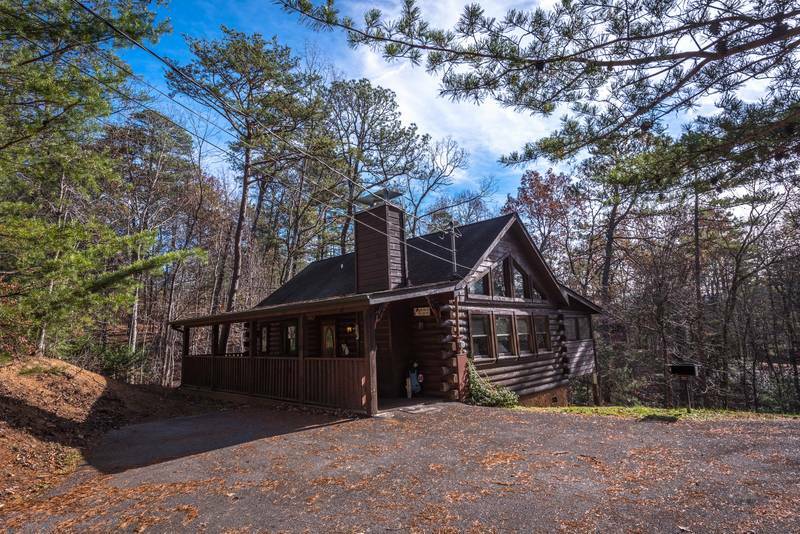 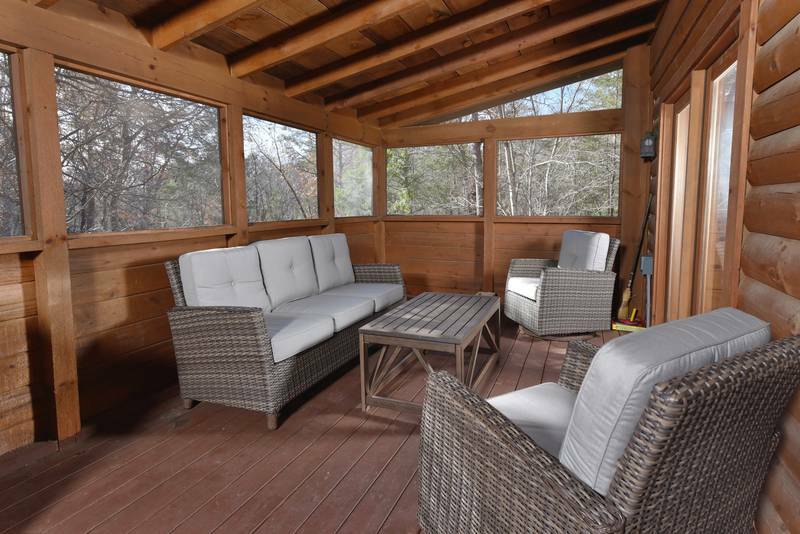 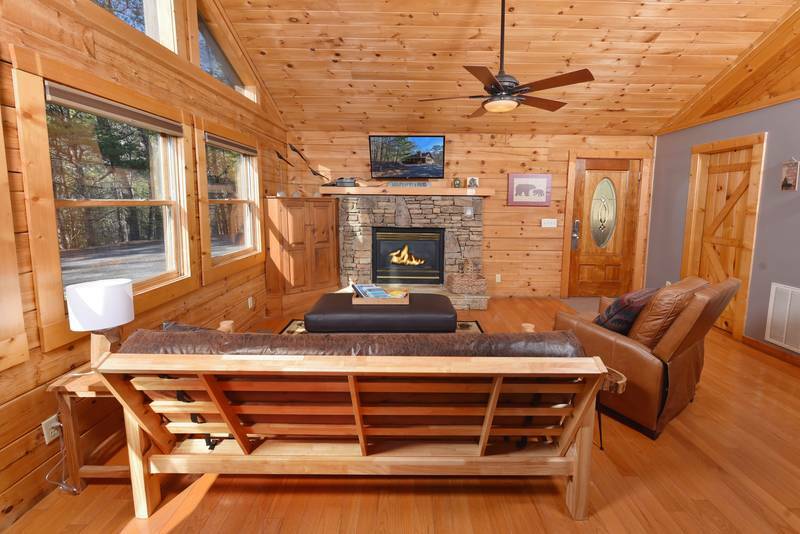 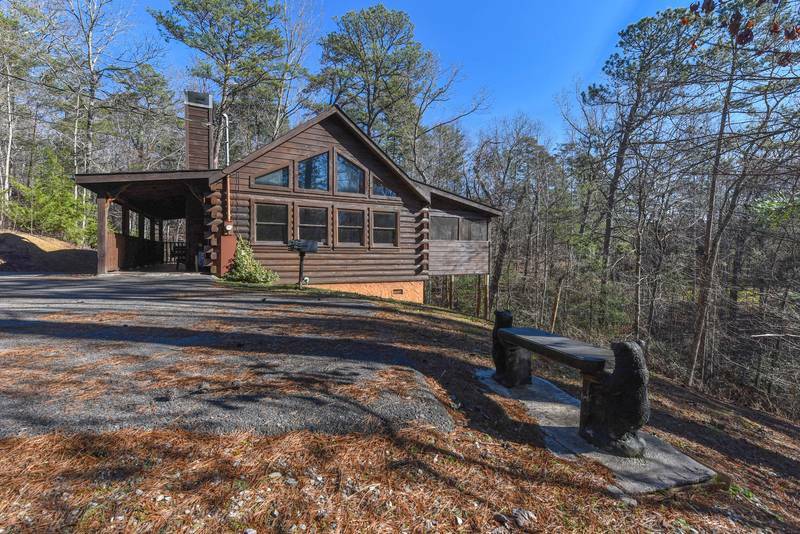 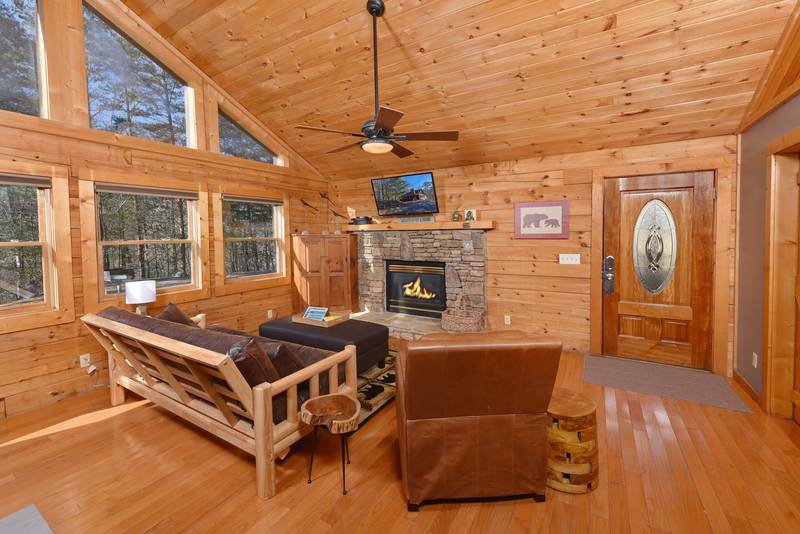 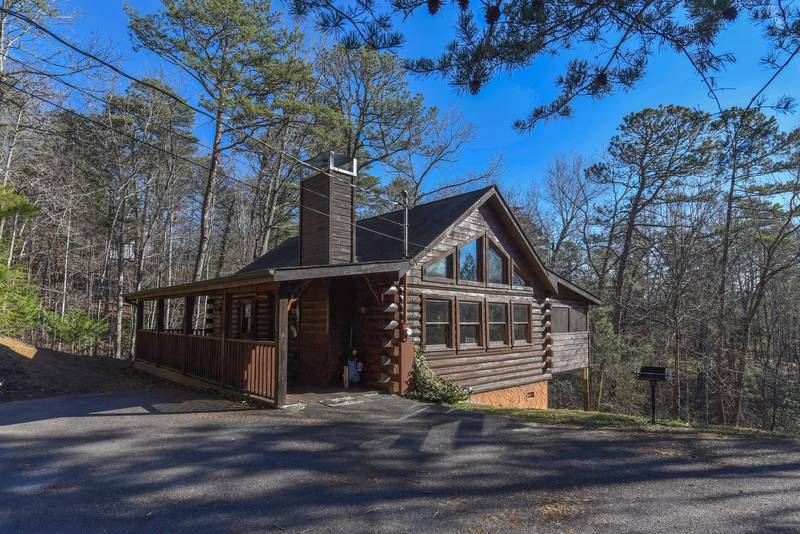 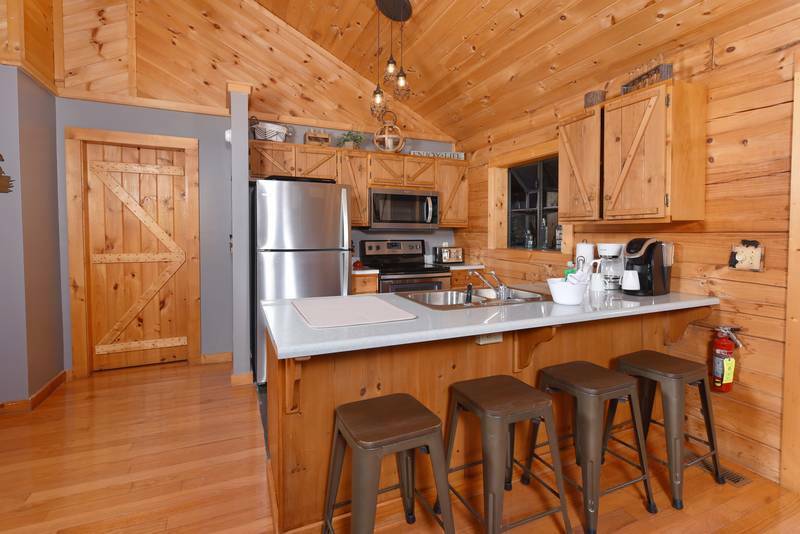 Whether you are enjoying the peace that comes from sitting on the front porch swing or Adirondack chairs, preparing steaks on the screened in back porch with love seat and rocking chairs to relax on, or soaking in the 4 person hot tub, this Pet Friendly cabin is perfect for a peaceful retreat. 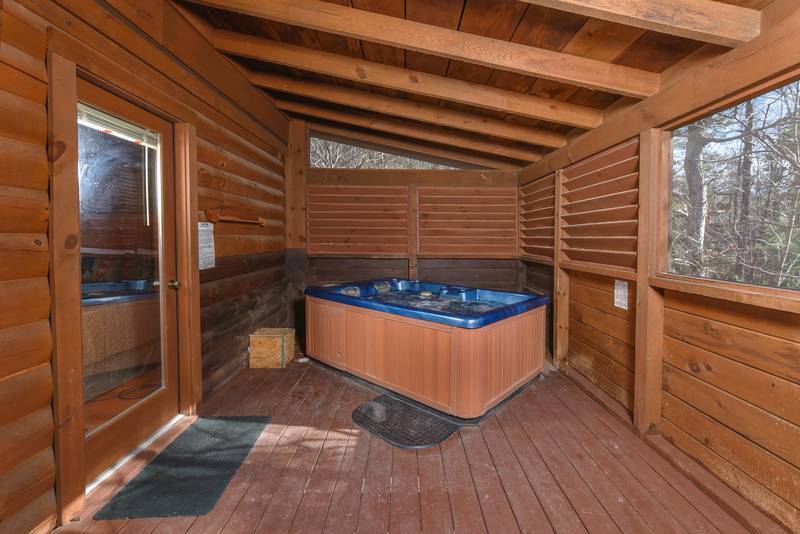 Yona Den, Pets Welcome and Must be reported. 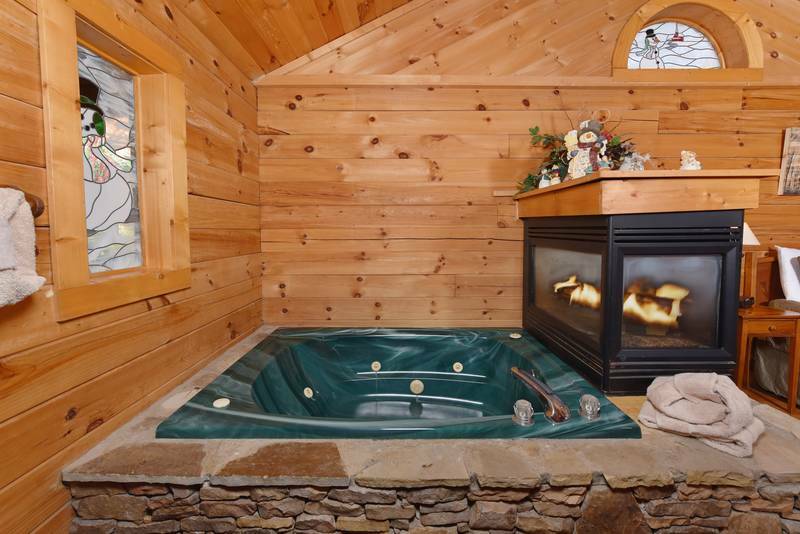 Weight Restrictions Apply, No Smoking, Sleeps 4.